Stainless Steel Soccer Mugs or Choose from many styles. 100% “Love it” Guarantee with an impressive Less than 1% Return Rate and Better Business Bureau, BBB Rating of A+. 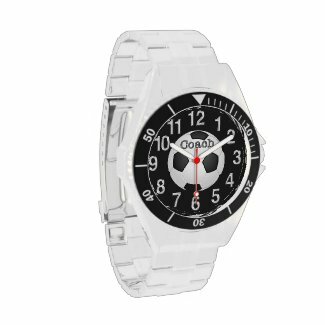 CLICK HERE to SEARCH Zazzle Personalization Gifts to See my full SOCCER STUFF Category of ALL Unique Soccer Gifts I’ve designed from cheap to moderately priced. I can make this in any colors for you. These are really unique Watches and Soccer Coach MUGS. The Lids turn easily to open and close. The thing I love best about this mug is that it’s Stainless Steel on the OUTSIDE and INSIDE and NOT PLASTIC. It fits neatly into your cup holder and the printing is Amazingly Clear and beautiful. The White version of the Stainless Steel Mug also has the stainless steel inside and will show your images and text up brighter. Soccer Coach Gifts Thank You will be such a wonderful and long lasting memory of your great team and it will show your coach how much they are appreciated. Soccer Coach Gifts, Thank You Coach. 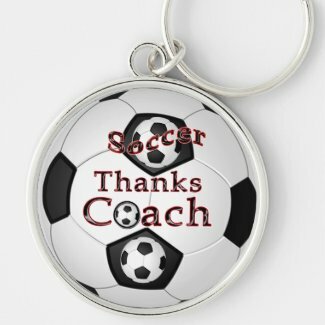 Affordable Personalized Coaches Gifts with YOUR COACH NAME or choose one of the many Unique Soccer Coach Gifts with a general “Thanks Coach” on a custom designed coffee mug. I actually designed this mug for my grandson’s soccer coaches. What a great way to say Thank You with a Soccer Coach Christmas Gifts. I was so happy to see that others loved this design. INSTRUCTIONS on How to Personalize Gifts for Soccer Coach below. Personalized Soccer Coach Gift Ideas. The first Soccer Coach Mug design is customizable by you. You Upload Your Team’s Photo and Type in the YEAR and the Coach NAME. Here is a brief description on How to Personalized Photo Coffee Travel Mugs. They are 100% Guaranteed. Less than 1% Returns. A+ BBB Rating. You will see it before you purchase it. 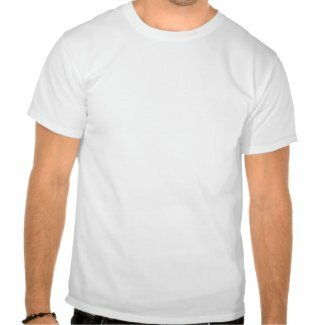 The printing is outstanding and most of Zazzle’s products are quality brand name items. Their service is fast and reliable. Cool Soccer Coach Gifts. The most impressive thing I found out about Zazzle is the fact that they have LESS than 1% of products ever returned. That is because they have an excellent quality control team to catch design problems before it gets shipped out and because of the Crystal Clear Printing on the products. After Clicking on the Products and arriving at the product page, you will see the “Personalize it” area to your right. Look under my Temporary Team Image, you will see the tiny blue word “Change”. By Clicking Change, you will be prompted to “Upload New Images” and or “Select New Images to Upload” and OK. Cool Soccer Gift Ideas for your coach. In the TEXT BOXES, also in the “Personalize it” area. More Details INSTRUCTIONS BELOW or Call Linda, 239-949-9090. The Stainless Steel will show the highlights and dark lights as shown in the picture on the mug. Use a bright photo if possible. Very cool looking mug and they make great gift ideas. It is available in the white finish if you want the photo and text to show up brighter. It is Brighter and easier to see but not as “cool”. I created Soccer Coaches Gifts that can be Personalized and others that don’t need to be Personalized. Look to the right of the soccer gifts under “Personalize it” area to see if there are TEXT BOXES and a blue word “Change” to Upload your pictures. This is the White Stainless Steel Soccer Coach Mug with a Silvery Background around the printable area. QUICK INSTRUCTIONS on How to Customize Gifts: OR Call or Email me and I will Add Your Photo at no charge. See it before you purchase and no obligation to buy. See “Style Options” or “Color and Style Options” For various Style, Brand and or Color Choices of Products. Look to Your Right of the Product. You will see the “Personalize it” area. Below this, you will see TEXT BOX(es) and or Temporary Image(s). To Change the Temporary TEXT: Highlight the temporary Text and Type “Your Text” in the TEXT Box(es). ADD Your Image: Click the tiny Blue word “Change” located underneath this Temporary Image, might be labeled “Your Photo Here”. or something similar. If you need to * * * Move or Re-Size Your Photo * * *, please see the INSTRUCTIONS below. Let your coach know just how Amazing they really are for devoting their time, talent and heart into creating such a great team. Coaches do so much for our kid, they deserve so much appreciation. Lots of other Coach Appreciation Gift Ideas at my Zazzle shop. Giving a gift that you took the time to find and to personalize it with your coach’s name makes if even more special yet very affordable. Personalized Soccer Coach Gifts in price range Under $5.00 to Coach Gifts Under 100 Dollars. Some even have Matching Cards. Let the best ever coach know with a special Soccer Coach Christmas Gifts.